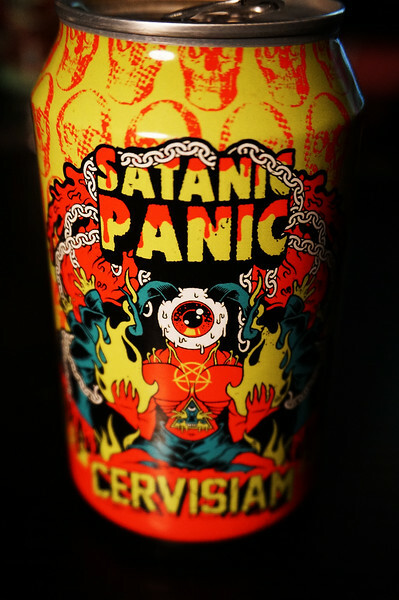 "Satanic panic is a sociological phenomenon that first arose in the early 80's. Everyone was horrified by being subjected to satanic ritual abuse. We have conjured a satanic ritual in the form of a dark, thick, imperial stout brewed with vanilla, molasses, cacao nibs, lactose and freshly ground coffee. This is our over the top tribute to the darkness"